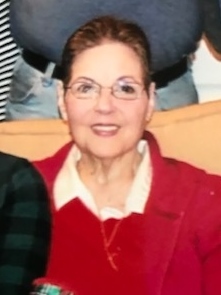 On January 28, 2019 Emma L. Devoted wife of the late James Blake Jr.; Devoted mother of Joann Kincer and Kimberly Feather and husband Jamie; Grandmother of Nikki, Jamie and wife Courtney and Hannah; Great-Grandmother of Jamie Rose; Sister of Valerie Roberts and Catherine Register. Visit the family owned Gonce Funeral Service P.A. 4001 Ritchie Highway Sunday 3 to 5 and 7 to 9 P.M. Service Monday 10:00 A.M. Interment Maryland Veteran Cemetery Crownsville. In lieu of flowers donations may be made to St. Judes Childrens Research Hospital.